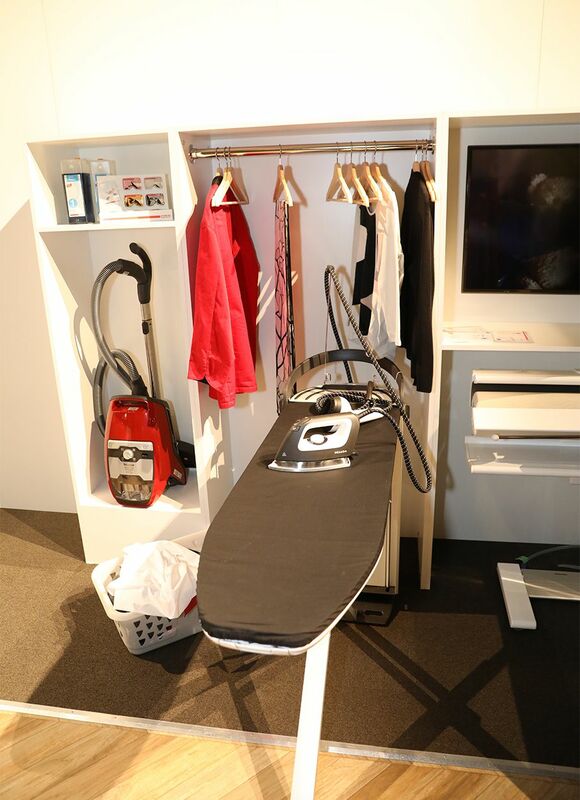 Miele, the premier floor care manufacturer, offers a surprisingly vast product line ideal for the everyday homeowner as well as commercial enterprises. Everyone loves a powerful vacuum and a functional cooktop, but did you know that Miele, an appliance manufacturer from Germany, has set the standard for quality home appliances since 1899? Chances are, you’ve come across a Miele product a time or two before. As a family owned and operated company, Miele is currently managed by a fourth-generation descendant of founder Carl Miele. Today, Dr. Markus Miele joins a strong management team dedicated to maintaining the same reliable products combined with modern technological components. Miele products have always stood out to our House Tipster team because they’re among the most well-made products on the market. But meeting Kelly Lam, Vice President of Marketing for Miele, Canada, at the Interior Design Show Vancouver was the icing on the cake. Kelly showed us some of Miele’s newest products for the Canadian market and gave us some great information on his company’s values and vision. After our conversation, we were completely convinced that, above all else, Miele is genuinely dedicated to quality and customer satisfaction. Plus, Miele isn’t just about vacuums (although they’ve essentially mastered them). Their product line is, in fact, ginormous. If you’re in the market for a home appliance, there’s no better place to start than with Miele. “Here at Miele, we provide a complete end-to-end solution for our consumers,” says Kelly. What does this include? They make everything from the floor care products like the vacuums we mentioned before, to dishwashers, laundry machines, and a wide range of cooking products such as built-in coffee makers and innovative cooktops. Consumers aren’t the only ones benefiting from Miele’s thorough, technology-based approach to appliance production. According to Kelly, they also lead the industry with products for professional environments such as hospitals, restaurants, and laundry facilities. Aside from offering a top-notch product, Miele adds a little extra. “We provide the product, but we also want to give the customer an experience.” This means that when you purchase something made by Miele, you’re investing in a lifestyle product that adds functional elegance and timelessness to your home. Kelly tells us, “We’ve been producing vacuums for 90 years, but we’re excited to introduce our first ever bagless vacuum [at IDS Vancouver].” The Blizzard CX-1 combines the power of a traditional Miele vacuum with clean, bag-free technology. This means you don’t have to swim in dust and dander every time you go to empty the machine. CX-1’s bin is hygienic and easy to clean, so floor care is a whole lot easier with this product. Another new addition to the Canadian market is the W1 and T1 washer and dryer. Laundry care has always been an essential part of Miele’s product lineup, but with these particular machines, consumers are getting the best of heat pump technology and targeted cleaning. The result is cleaner clothes that are less damaged and appear as vibrant as the day you got them. As of now, the Blizzard CX-1, the W1, and the T1 are available everywhere, including Europe and North America.